We have been in need of something new, something different yet valuable ! An alternative to the standard classical music concerts! Here in Europe and Worldwide! Something new for those who are craveing for deep and exciting music, and those with open ears to high quality classical music, jazz, rock and modern arts. For all those who see the art in themselves and are ready to discover new approach to the artistic spirits away for the cliches. Founded only at the beginning of 2016 Germi Art & Entertainment very quickly established itself among the leading promoters and producers in the classical and jazz concert fields. 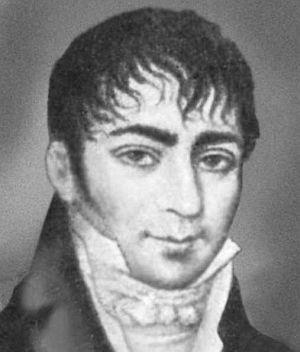 Тhe agency was named after Luigi Guglielmo Germi – a friend, impresario and adviser of the great Niccolo Paganini. As a result of their partnership the first musical spectacles were born, including lights and visual effects (all that today we simply call “music show”), which cracked the norms and changed the musical world 200 years ago. Their partnership and legacy is our inspiration for what we are doing today. We love making people happy – both the artists we work with and our highly respected audience! We love what we do as it brings us pleasure and satisfaction so our goal is to make our partners and audience to feel the same way! This is why we make no compromises and follow the highest quality standards when it comes to music and visual presentation of our live shows. We are dependable and devoted partner who could help you to realise any of your exciting projects and ideas. A partner with whom you could discover new horizons for your artistic career.